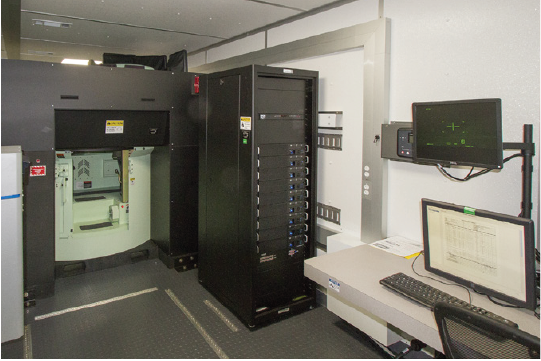 Optimizes training days via training system configuration commonality; software concurrency with the vehicle; and minimal system downtime due to real-time system diagnostics, high reliability with MTBF >500 hours, and operational capability of >95%. 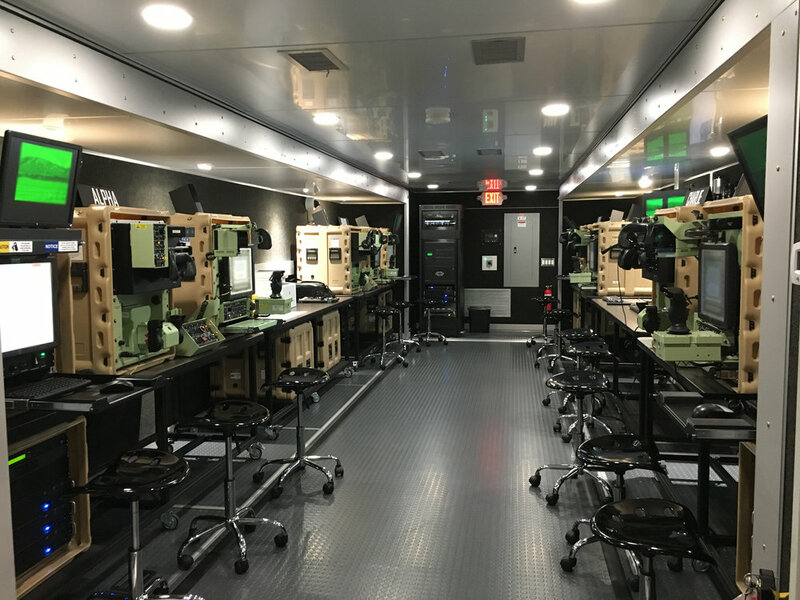 The Bradley ODS-SA and Bradley A3 vehicle configuration is selectable from the Instructor Operator Station, thus eliminating the need to duplicate training systems or to expend time and effort to convert the trainer between configurations. 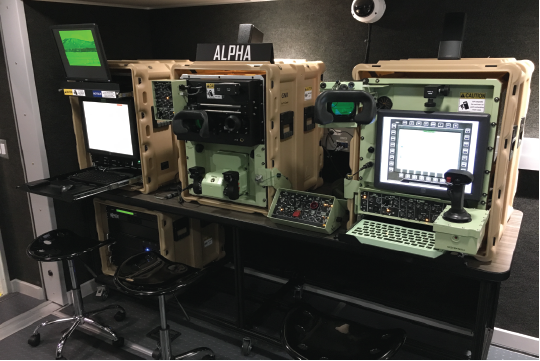 Key components integrated into the software architecture: Bradley Common Software Library (BCSL: tactical vehicle and C3 software), state-of-the-art image generator and geo-specific databases, realistic target visuals and behaviors consistent with gunnery training, and “country-specific” scoring standards (Scoring CSL). Using BCSL and the Scoring CSL makes it relatively easy to maintain training system concurrency with the latest fielded vehicle software and with the latest release of the “country-specific” scoring standards. The mobile configuration is qualified for C5 and C17 air transport and highway transport without the need for U.S. Department of Transportation permits and easily adapts for highway transport in Europe and the Mid-East. The mobile configuration has a 30KW diesel generator with a 100 gallon tank that enables the trainer to be used for 50+ hours of training without the requirement for shore power. For deployability and ease of use, the table top configuration is designed to operate on 120 VAC, 60 Hz, single phase or 230 VAC, 50 Hz, single phase power in temperatures of 5-40⁰ C and non-condensing humidity of 20-90%.